Anyone who watches the nightly news on a regular basis or follows current events through social media will know that not everyone in the world is living a happy and safe existence. War is forcing millions to flee their homes as refugees, famine is affecting countless communities and natural disasters are leaving the poorest and most vulnerable with nothing. It can be overwhelming to witness (even through media reports) and many are left feeling helpless that whatever they can do is not enough to change the world. But this isn’t the case, as each and every one of us can make a difference through our actions, creating a snowball effect that WILL change the world. The first step is realizing that we can (and should) try and make the world a better place and just because of where we were born does not entitle us to live a life of relative luxury while others are suffering through no fault of their own. It means looking past religious or cultural differences that are often used by those in power to divide us and acknowledging that we are all human beings with the same needs – a safe place to call home, food on the table and opportunities for a good life. If you’re not sure where to start, volunteering abroad is a great way to take your first steps in changing the world. You’ll have lots of support in the logistical planning of getting visas and organizing in-country transport and accommodation, as well as having like-minded individuals with you on the ground throughout your placement. A volunteer abroad program will also help inspire you to change the world, exposing you to the challenges and rewards of humanitarian work and how to successfully carry out community projects with positive results. You’ll leave with the knowledge to inspire others to make a difference and be the catalyst for a chain reaction that will make the world a better place. The first step in finding the volunteer abroad program that’s right for you is deciding on which issue(s) you feel are most pressing in the world. It might be a lack of adequate housing in the world’s poorest communities or a need for staff in health clinics or orphanages. Perhaps you are most passionate about the state of our environment and want to participate in a project that is protecting tracts of old growth forest or assisting in the rehabilitation of vulnerable species. 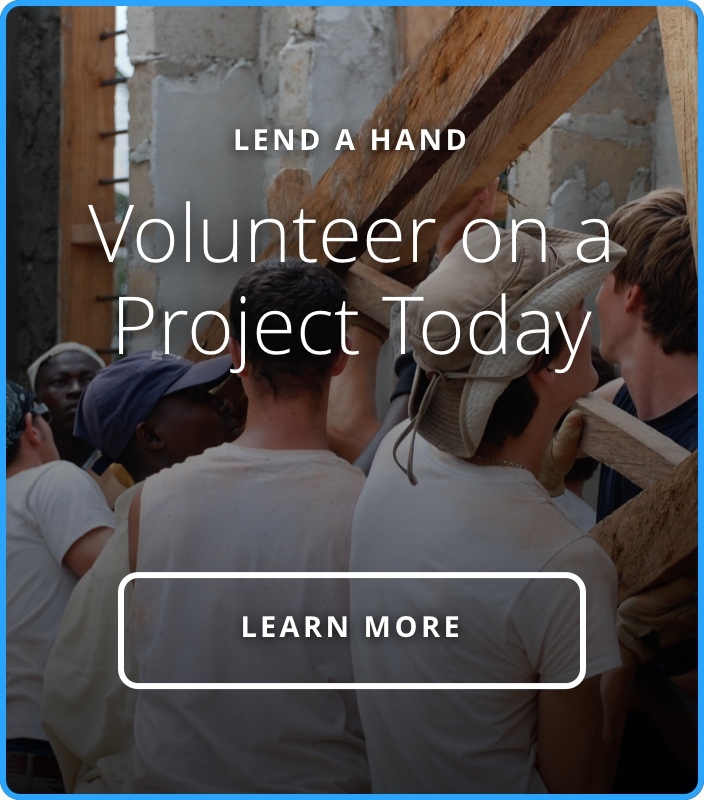 Once you know what you want to do, turn to the task of finding an ethical and sustainably managed volunteer abroad organization that has projects in your field or destination of interest. Unfortunately, not all volunteer abroad organizations are created equal. Some are just looking to make financial profits without the needs of the local community at heart, while others don’t offer the support that young volunteers really need. A great way of finding a volunteer abroad organization that is committed to changing the world is through recommendations. Send a shout out to friends and family via Facebook to see if anyone has had a really great experience with a particular volunteer abroad organization or read through reviews online to see what past participants say. They will help to paint a better picture of what the day-to-day experience is really like and how sustainable the program is for the long-term future of the community. Changing the world sometimes starts with changing your own perspective and stepping into a completely new culture can be confronting. It’s really important as a volunteer that you don’t impose your beliefs or way of life on local communities and try to understand their side of the story. Doing a bit of research before you venture abroad will give you a great head start and introduce you to some of the issues facing the community or the historical legacy of why the situation is the way it is today. You might discover that years of colonization have left the local people with little or bad governance has plundered the country’s wealth. In most cases, people that require humanitarian help are not in that situation because of their own wrongdoings or lack of work ethic or abilities, but because they are driven there by the powers that be. By understanding their situation, you will be a more compassionate volunteer and on the right path to changing their world for the better. Once you are abroad and participating in a volunteer abroad program, sometimes the most positive action you can take initially is just watching and learning from the local community. How does their culture or religion influence their day-to-day lives and what brings them satisfaction and happiness? What are the immediate threats to their livelihood and what steps are they taking to counteract these? Perhaps one of the most important things to consider is how locals communicate with one another or mediate on issues, which might contrast dramatically to how you do things back home. Nobody likes being told how they should do things (particularly by a foreigner), so even if you feel like their way of addressing issues is inefficient, it’s important to take a back seat and let cultural customs prevail. Once you have a better understanding of how things work, you’ll be able to assist the community in much more profound ways. If you leave home with the idea of being flexible in your ideas and actions, with no task unworthy of your time, the impact you have will be far greater. You’ll also gain some fascinating cultural insights that might make you think about the world and the complexities of humanitarian issues from a different perspective. When you volunteer abroad, you are at the forefront of changing the world, taking real life, positive steps to make our world a better place. While “armchair activism” has its merits in spreading the word about what is going on outside our doors, being hands-on is what it really takes from each and every individual to leave this world in a better state than we found it.